Perhaps the most surprising development in the automobile space came towards the end of the week. A renowned name in power generation who as late as November 2018 reaffirmed plans of an electric vehicle foray suddenly backed out. This weekly wrap talks in detail about this sudden exit in addition to all the important development during the week. German luxury carmaker BMW on March 28 launched 530i M Sport in India, priced at Rs 59.2 lakh (ex-showroom). The model now comes with a petrol engine, is locally produced at Chennai and is Bharat Stage-VI compliant, BMW said in a statement. The company already sells diesel variant of the model in the country. The 530i M Sport comes with technologies such as a display key, which allows drivers to maintain round the clock contact with their car. Auto major Mahindra & Mahindra (M&M) on March 28 said it will increase the price of its passenger and commercial vehicles by Rs 5,000 to Rs 73,000 from April to partially offset the impact of rising input costs. The price of the company’s vehicles will rise by 0.5 percent to 2.7 percent from next month due to the hike, the company said in a statement. Eicher Motors-owned niche bike maker Royal Enfield on March 27 said it has launched all new Bullet Trials Works Replica range in India. The Bullet Trials 500 is priced at Rs 2.07 lakh, while Bullet Trials 350 is tagged at Rs 1.62 lakh (ex-showroom). The bikes come with various features like dual channel anti-lock braking system (ABS), trimmed mudguards, a single seat and luggage carrier. Bajaj Auto India’s third-largest manufacturer of two-wheelers, has seen a shake-up in its top management, with senior executives appointed in three positions while a 12-year veteran has exited. The Pune-based company appointed Sarang Kanade to replace Eric Vas as President of the Motorcycles business. Vas will now head the Urbanite business unit. The board of Maruti Suzuki, India’s largest car maker, has approved the company’s plans to source its mini SUV Brezza from Toyota, without having to invest in its partner’s capacity. The Brezza will be manufactured at one of the two factories of Toyota Kirloskar Motors from 2022. The board also approved the reappointment of Kenichi Ayukawa, the serving Managing Director and CEO of Maruti Suzuki, for a period of three years with effect from April 1. Sajjan Jindal-led JSW Group company — JSW Energy, has decided to shut down its electric vehicle (EV) business venture even before it rolled out one of several EVs it had planned to produce and sell. While the street welcomed the news, pushing the JSW Energy stock up by 5.52 percent on March 29, market watchers are completely surprised. Because as late as November 2018, Prashant Jain, Joint MD and CEO, JSW Energy, in a conference call reaffirmed the company’s plans of pumping Rs 6,500 crore into the EV business, which according to Jain had a gestation period of 3-4 years. 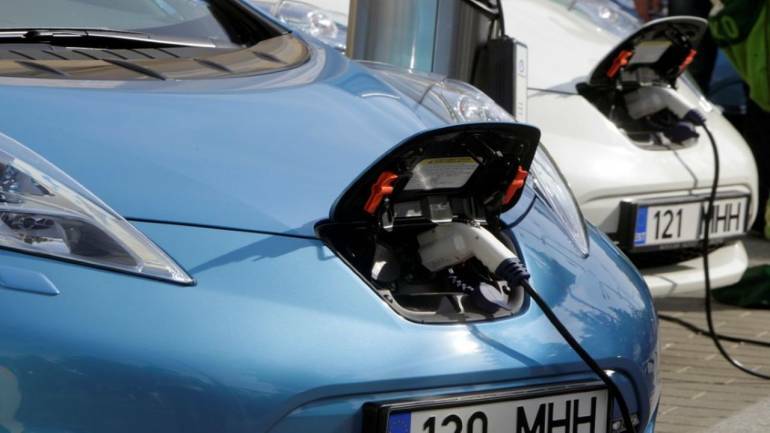 The company had even signed not one but two Memorandum of Understandings (MoUs) with Gujarat and Maharashtra to set-up manufacturing units that would rollout EVs in 2020. The company also said that ‘discussions were progressing with various technology and design engineering providers and leading global OEMs (original equipment makers) for suitable partnerships to roll this forward’. One of the team of 33 employees that JSW Energy employed for its EV foray was a Hyundai veteran Rakesh Srivastava. The latter, who spent more than six years with Hyundai and part of successful models like i20, Creta and Grand i10, was appointed director sales and marketing for electric vehicles. “We are in discussion with our partners for various tie-ups. We are feeling more and more confident and will be coming up with a robust plan, which we will stick to,” Jain said. But the hour-long board meeting convened on March 29 laid to rest the three-year long preparation of the group, leaving behind more questions than answers. So, what changed in five months? One reason could be government’s stand on providing subsidy to EVs. Under the revised plan, the government has refused to provide subsidy to private passenger EVs. Phase II of Faster Adoption and Manufacturing of Electric and Hybrid Vehicles (FAME-II) earmarks Rs 10,000 crore towards setting up infrastructure and provides for direct subsidy. But the subsidy is for vehicles that will be used for commercial application and not for personal use. Removal of subsidy for personal cars will lead to a direct price spike of Rs 1.2-1.5 lakh from April 1. Personal cars constituted more than 90 percent of the 3.3 million passenger vehicles sold last fiscal. Demand from commercial buyers have shown a marked drop over last year. The same from players such as Uber and Ola have been on a declining trend as increased vehicle supply has hit earnings of operators. Given the reluctance of commercial drivers to switch to EVs, this segment won’t churn out enough sales to make business a viable option in the medium term. Another reason could be the high rate of competition. Almost every manufacturer have declared plans to deploy EVs in their line-up beginning 2019. Maruti Suzuki, Hyundai, Tata Motors, Renault, MG Motors, Kia Motors, Honda and Toyota are formulating their EV plans. Market leader Maruti is adding more models to its portfolio. Although minuscule to the conventional petrol and diesel space, the EV market will see lots of competition in the next 3-4 years, just enough to push new and unrecognised players out of the market.